Hi, Snap friends! My name is Emily and I’m the woman behind is this REALLY my life? where I share my favorite recipes (mostly of the sweet kind like these cookie dough pretzel bites) with local happenings, product reviews and some humor thrown in for good measure. I’m so grateful for the opportunity to share my One Word Goal with you because it makes me all the more accountable to make sure I achieve it…or at least make a valiant attempt to do so. Believe you me, this word is going to be a tough one as essential as it is to 2015. At first you might wonder what’s so difficult about breathing. We breathe without thinking—in, out, in, out, repeat a gazillion times. But it’s not that kind of breathing I’m talking about. 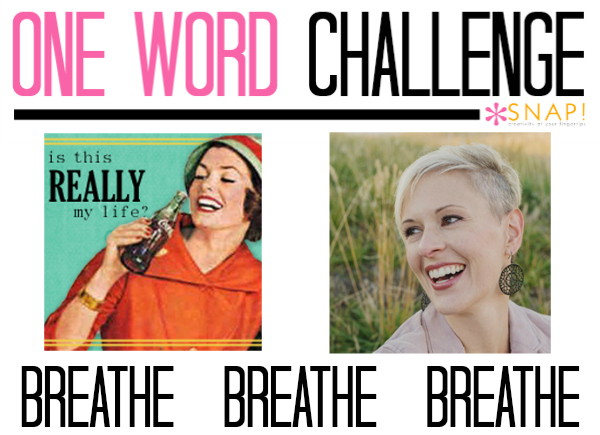 I’m talking about purposeful breaths…the kind of breaths I take in yoga. In yoga, our instructor guides us in our breathing. 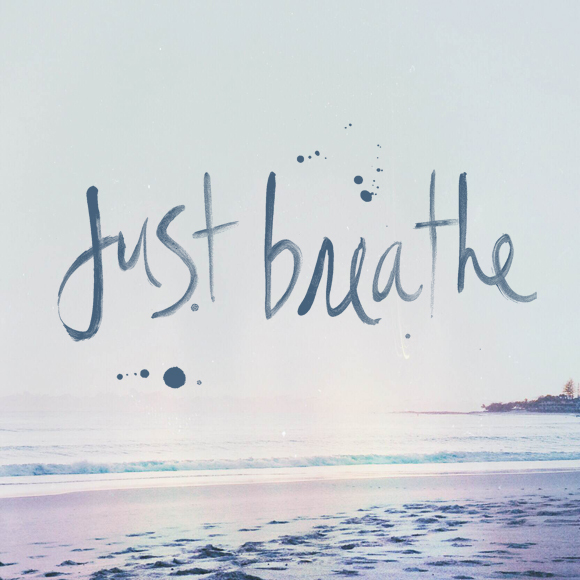 Yes, we breathe in life-sustaining oxygen but we also breathe in calmness, peace, contentment, positivity. We exhale carbon dioxide along with stress, frustration, anxiety, negativity. Become a better wife because I will get less frustrated over the little things and better focus on what really matters. Become a better parent because I will use less “angry mom” voice and show a much kinder side to my children. Become a better me because I will feel more centered, more content and better able to thrive amidst the craziness that will be 2015. Perform a musical number in front of any size crowd. Swim an event in the state swim championships. Try out for the improv troupe at school. Attempt a new move on the skateboard. Drills holes in our newly painted basement walls for his home theater crap. Attempts a new move on a BMX-style bike. Fixes any sort of electrical wiring in the house. 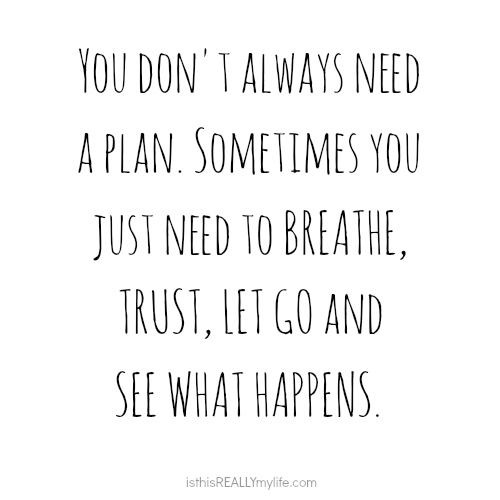 Exceptions aside, I’m going to truly take the time to BREATHE this year. I highly recommend you do the same. Emily is a phenomenal wordsmith. Be sure to head over to her site to grab some great stories, laughs and loads of fun recipes!